In a paper prepared for the European Parliament, Blot et al. (2015) point out that the empirical literature gives rise to two contradictory conclusions. In the US, the Fed’s base rate cuts tend to reduce inequality. Conversely, in Japan an expansionary QE type policy tends to increase inequality. So what’s the situation in Europe? 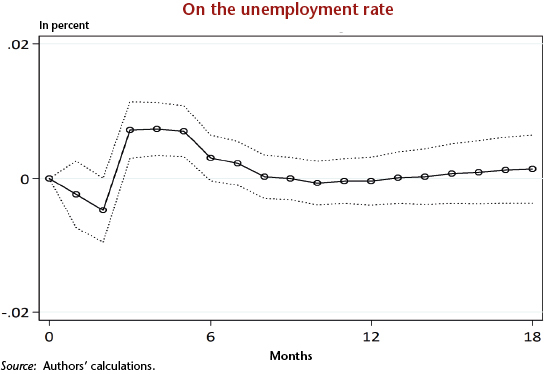 Based on macroeconomic data aggregated for the euro zone as a whole, Blot et al. 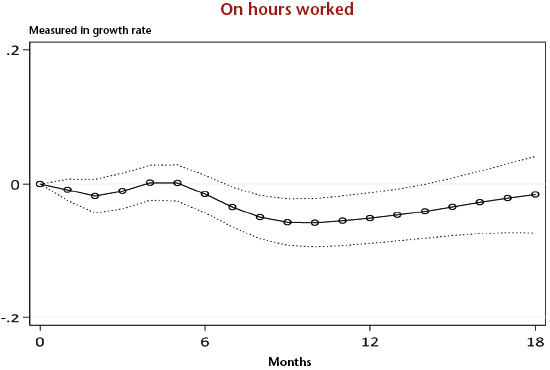 (2015) show that while European monetary policy, conventional and unconventional, have indeed had an impact on the unemployment rate, the number of hours worked and the rate of inflation (see graphs), this was limited. 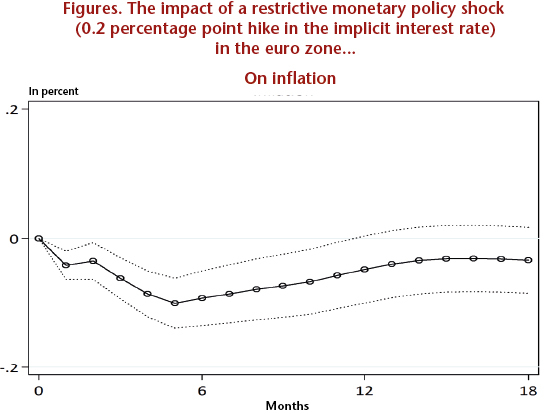 This result suggests that the ECB’s expansionary monetary policy has tended to reduce inequality, but not by much. So when the ECB finally decides to wind up its expansionary policy, we can expect a slight increase in inequalities to follow. Because of this effect, though small, Blot et al. (2015) suggest that the ECB should be held accountable not just for price stability or economic growth, but also for the impact of its policies in terms of inequality and the mechanisms needed to take this into account.